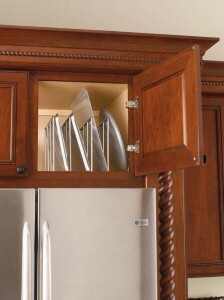 There are a great multitude of storage accessories available in today’s market. 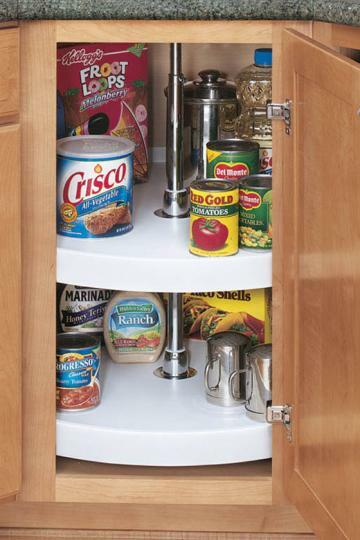 These accessories are essential to making kitchen storage more efficient. 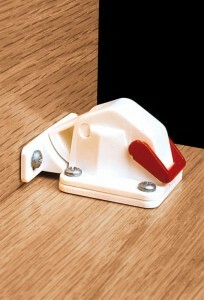 They are available in multiple configurations and materials. Typically these cabinet accessories are grouped by specific tasks or kitchen zones. 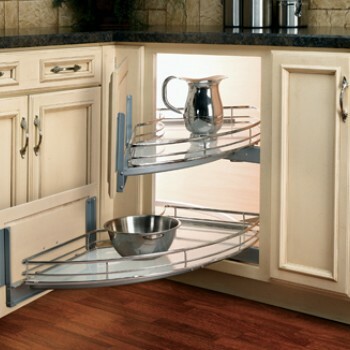 Task like baking or food preparation would be considered a zone. 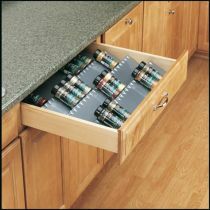 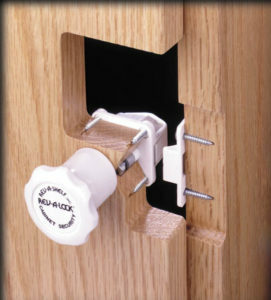 To make the cabinet content more accessible and easy to reach, pull-out organizers are very popular. 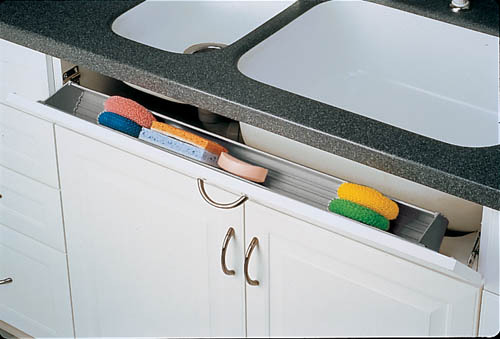 Dividers can keep items such as baking sheets, trays, and platters well organized. 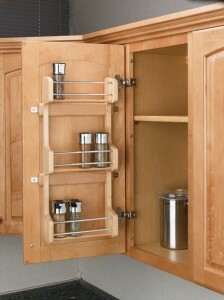 Base cabinet organizers can bring your content in full view and different materials and sizes are available. 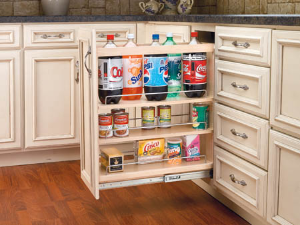 Door mounted organizers can help to preserve shelve space when cabinet space is limited. 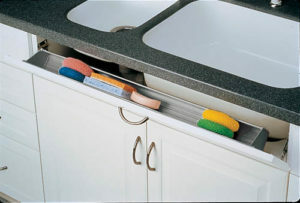 Tip-out Trays are a convenient way to store sponges and similar items that keep the sink area less cluttered. Garbage and recycling centers are out of sight and within easy reach. 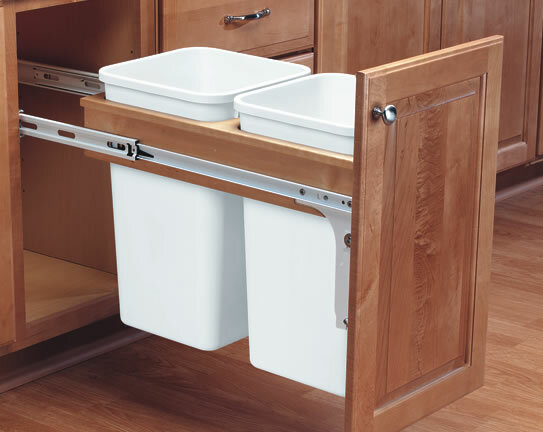 Pull-Out or Top-Mount options for waste containers are available. 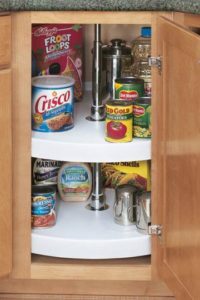 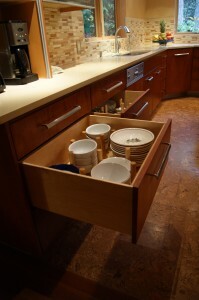 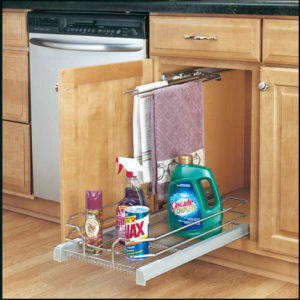 A Lazy Susan or blind corner pull-out helps to utilize the space in hard to reach corner cabinets that are otherwise not utilized. 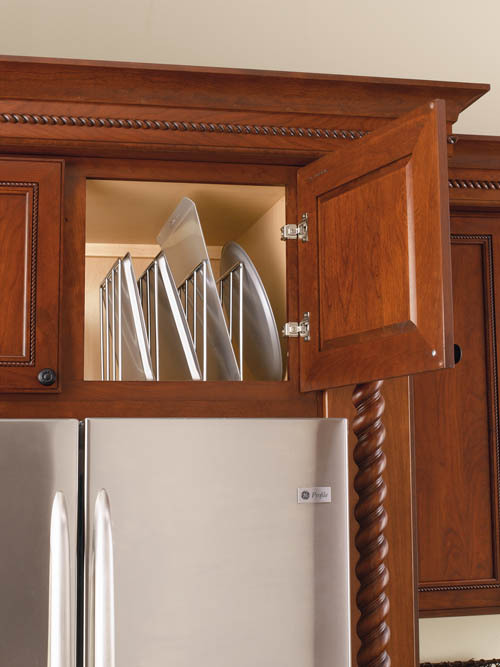 &nbsp; &nbsp; There are also security features available to keep children and pets from being able to access cabinets. The quality can vary and it is recommended to use good quality products so that the integrity of the cabinets is not compromised. 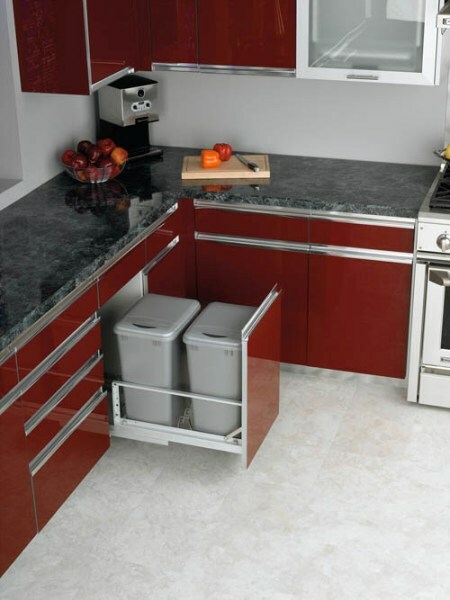 The available choices are vast and an experienced kitchen designer can be a great resource for efficient storage solutions.